Every girl likes a little bit of sparkle, and this Starry Night Necklace delivers! 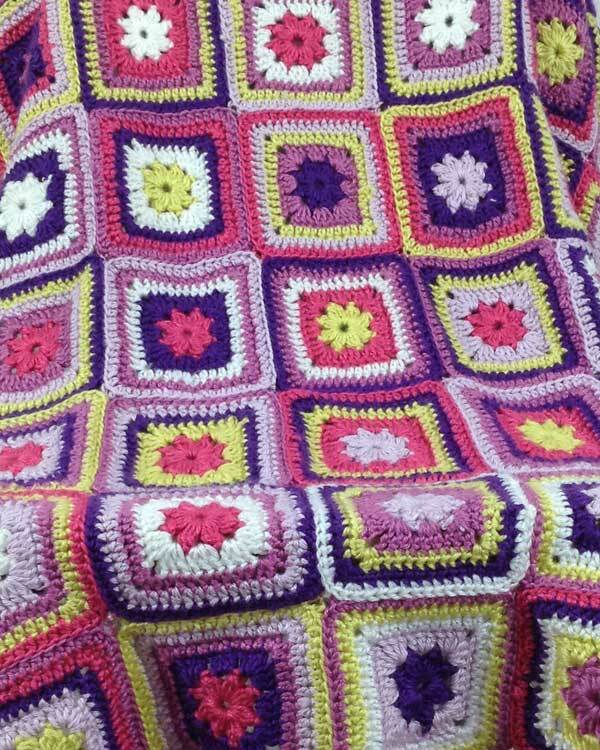 Make it long enough to drape around two or even three times – probably 40″ to 60″. 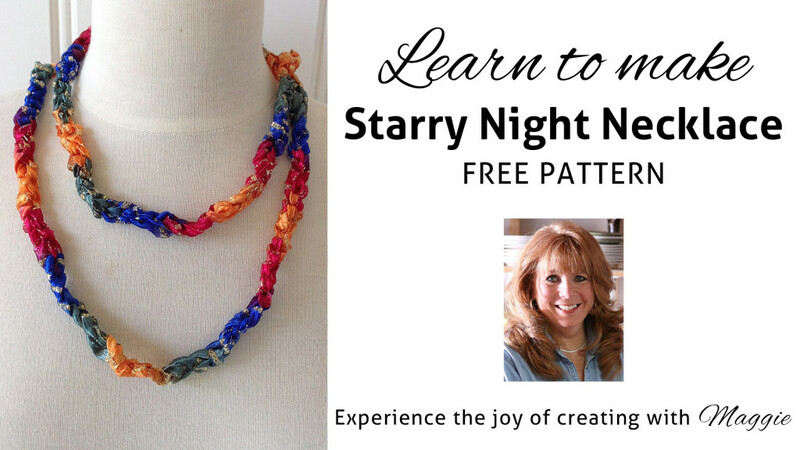 Click the photo for the Starry Night Necklace pattern. Starry Night yarn is a variegated ribbon yarn with stripes of metallic gold or silver running through it. 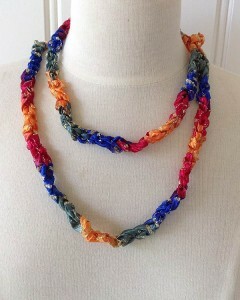 It’s perfect for all of your fashion and jewelry projects. You’ll also need a size L-11 hook. 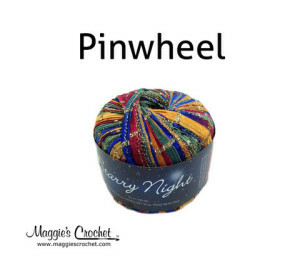 Click the photo for Starry Night yarn.